For information regarding the operation of the various LPFA committees, please see the Constitution. Please note that throughout this website, where we refer to ‘parents’ we also by implication include ‘guardians’. Loyola College maintains proud links with the families and extended families of present and past students. Meetings start at 7:30pm and are held in the Board Room unless otherwise specified. Please follow the signs from Reception. Agendas are available for upcoming meetings one week in advance of the meeting date. Working bees include a light morning tea. Families are asked to please present at the front of Old Loyola on arrival and register their names with the Co-ordinator. The College looks forward to seeing hundreds of parents and children here ready to help. Please note, working bees generally run as scheduled. If it looks like heavy rain on the day, please ring 9433 0259 to see if the working bee is still going ahead. Parents assist with the upkeep and light maintenance of the school grounds and facilities through the coordination of the College’s Facilities Manager. Working Bees are usually held once per term and can vary from a twilight or a Saturday morning time. Work conducted can include gardening, planting, painting, mulching, retaining wall building etc. A small group of Parents assist and meet with the Community Involvement Officer as needed to discuss fundraising opportunities for the LPFA. They also review all fundraising offers received by the LPFA (mostly unsolicited) and will make recommendations to the General Committee meeting. The Fundraising committee will work (please click here for the Fundraising Sub-committee brief) to provide fundraising ideas to assist the LFPA in financing College projects. The Presentation Ball is held for Loyola College Year 11 students (both male and female), where students are presented to the Loyola Community. Parent volunteers assist with the event management: Catering, venue hiring/decorating etc, as well as the organisation and coordination in the lead up (eg administration and dancing lessons for the students). For more information, please contact the Community Liaison on 9433 0228 or email CommunityLiaison@loyola.vic.edu.au. Volunteers are required to assist Canteen staff and other rostered parent volunteers, usually in a food serving role, covering recess and lunchtimes. Volunteers are rostered on usually once a month or as much as their availability allows. For more information, please contact the Canteen Manager on 9433 0764. Volunteers are required to assist with iCentre Library duties on a regular or casual basis depending on requirements. Usually working with Library staff, duties may involve book covering, indexing etc. For more information, please contact the Learning Resources Manager on 9433 0221 or iCentre-Learn@loyola.vic.edu.au. Volunteers are required to assist with mail out duties. This can include collating information, flyers, filling envelopes, show bags or mailing out information. Working with Children Checks (WWCC) are required. This is a great opportunity to meet other parents in a friendly, easy environment. Dates/times needed for the group are advertised in the Ignatian or via email. For more information, please contact the Community Liaison on 9433 0228 or email CommunityLiaison@loyola.vic.edu.au. Host families are needed to provide paid long term (10 weeks or longer) accommodation to overseas students. For more information about hosting an exchange student contact the Community Liaison or email CommunityLiaison@loyola.vic.edu.au. Host families are needed to provide free short term (between 8 and 14 days) accommodation to students from sister schools located in Italy, France and Indonesia. There is no payment involved as the College has a reciprocal arrangement with each sister school so that Loyola students traveling to these countries can be home stayed by the sister school they visit. For more information about hosting an exchange student contact the Community Liaison or email CommunityLiaison@loyola.vic.edu.au. The Curriculum Committee, chaired by the Deputy Principal of Teaching and Learning, provides a forum for discussion of curriculum issues and has the responsibility for making recommendations on organisation, policy and content to the Principal. Parents join key staff members and senior student leaders to meet at least 6 times a year at 3:45pm. The College’s Welfare Committee, chaired by the Deputy Principal of Administration and Professional Development, provides a forum for discussion of physical, social and emotional, intellectual and spiritual issues related to the welfare of students and has the responsibility of making recommendations on organisation, policy and content to the Principal. Parents join key staff members and senior student leaders to meet at least 6 times a year at 3:45pm. The Co-Curricular Reference Group is chaired by the Head of Co-Curriculum and discusses matters relating to the provision of Co-Curriculum within the College before making recommendations to the Principal. The College’s uniform committee is chaired by the Deputy Principal – Administration and Professional Development, usually meeting once per term at 4:45pm. Two Parent representatives form part of this committee. This group of volunteers assists with the catering for College events such as Saint Ignatius Day, Information Evenings, Parent/Teacher evenings etc. This committee meets as needed. For more information, contact the Principal’s Personal Assistant on 9433-0207. This passionate group of parents share an interest in music at Loyola College. They are involved in assisting the organisation of musical events and coordinating fund raising activities. This group meets as required. This committed group of Parents share an interest in Performing Arts at Loyola. They are involved in providing assistance with performing arts activities, fund raising activities, front of house events (eg. ushering, programmes etc), and provide assistance with the sourcing of sets, costumes, props etc as needed. This group meets regularly, although volunteers only have to attend as necessary. Year 10 students are required to complete one week of work experience. Students undertake an Occupational, Health and Safety Training Course. The College is always keen to receive assistance in offering placements for Work Experience from parents, guardians and alumni. Further details are available from the Careers Advisor on 9433 0220. A small dedicated group of parents and guardians assist with the preparation for short term rental accommodations which Loyola College offers to the general public. International House and Manresa Cottage are situated on campus and are offered fully furnished including linen, as well as tea/coffee facilities. For more information, contact the Community Liaison on 9433 0228. Parents, guardians and alumni wishing to volunteer their services at Loyola College during school hours are required to have a Working with Children Check and subsequent card issued. This is an easy process and an application form can be obtained from the post office. Volunteers do not have to pay to register; however, they will have to provide a passport photo. 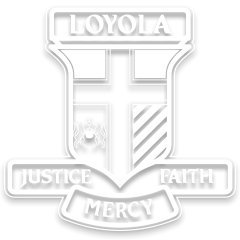 Loyola College is happy to reimburse volunteers for the cost of a photo if one is required. For more information, contact the Community Liaison on 9433 0228.